Pennycat here. Oh, litterbox moment. I’ll be right back. If anything shows up here, it’s not me. Happy Valentine’s Day. Pennycat here, with something helpful for you to consider on this, your special day. Not so special for me, by the way – my pillows and sun patch know exactly how much I love them, and I don’t need a day for that. 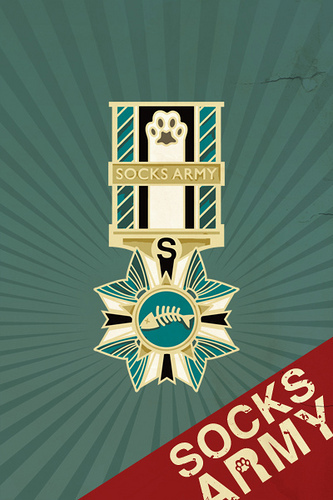 So the wonderful artist Megan Hopkins, who has done such wonderful work for me with graphics (and I guess Socks too) is helping put together the sale of Socks Army Pins, which will look truly amazing, even if they’re about Socks. I know, amazing, right? These are beautiful, metal pins that will look good on any food supplier, as they properly attain to their housemasters. I expect food lady to be wearing hers in no time. They go on sale shortly. But there’s another special aspect to this. You’re going to help decide which charity gets the percentage of profits from the sale of these pins. 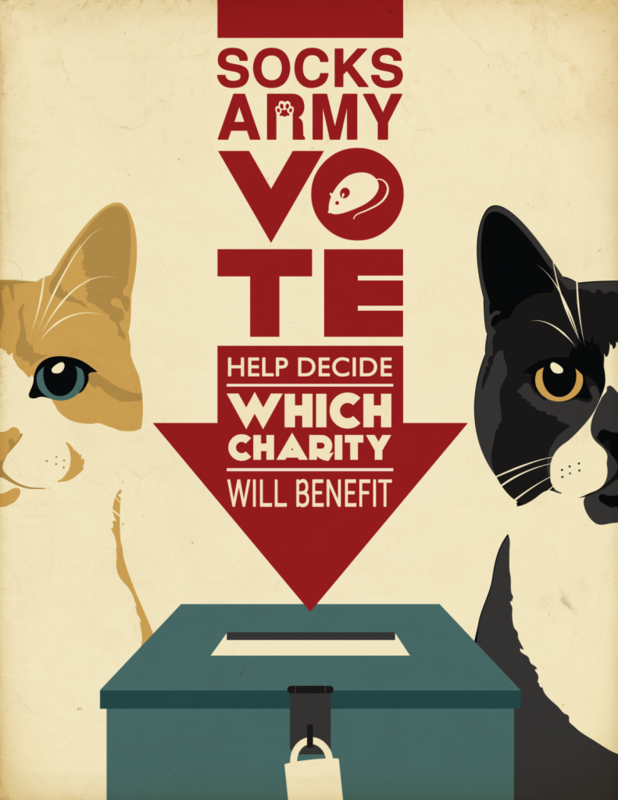 Fatty has devised five potential charities which you will now get to vote for, with the winner getting the percentage. An even better situation would be for you to buy the pins AND go right to these charities and throw them some cash – they all deserve it. The five charities are Illinois Valley Cat Taxi, Animals in Distress, Big Cat Rescue, Ingrid’s Haven, and A Chance for Bliss. Check them out. So get cracking, Socks Army – the voting closes at midnight EST on Friday. Yes, the rumors are true, I’m mostly retired from tweeting – much too time-consuming when I’ve worked so hard in my life to get the incredibly comfortable chairs around the house just perfect. (The Gray Ones know exactly which ones are mine and clear off immediately when they hear me coming.) But ol’ fluffhead with the pretty face has been keeping up his army for quite some time now, and when he lets loose with some call to arms, they all just come out of the woodwork. So imagine my surprise when he puts out a call for twitter followers to let him know about cats or other people who have passed on – a very touching thought, in the abstract. But the realistic situation is many people have lost loved ones of all sorts, and when you have a million and a half people who adore you (for whatever reason), the well-wishing just comes flooding in. And flooding in. And flooding in more. @sockington my fave cat in the whole world just passed by the rainbow bridge few months ago. I still miss Lime so much. @sockington I lost my special little girl, Voogaman. She was an expert mouser and a sweet sister to Lemon. Thanks for the shout-out. @sockington Meow-out to fallen gray homie Simon? Survived two strokes & death of his favorite person. Slayed countless vermin. @sockington my cat lost her way last caturday, luckily my neighbour found her back and the end of the day. 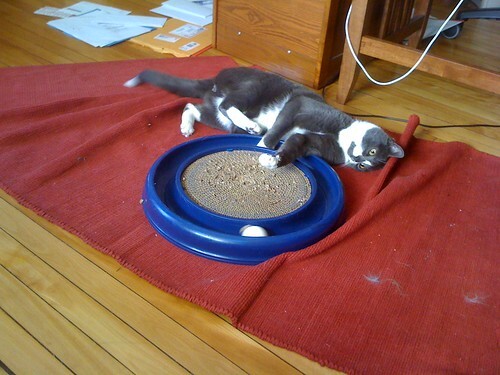 sockington A really wonderful cat @Ryker_Tyker went OTRB in Nov, 2010. A shout-out for him would be pawsome! Thanks! @sockington My cat Ollie is on the mend from kidney stone surgery. @sockington lost my lovely black fluffy Brush to traffic accident Sun night. He was only 4 and we’re all heartbroken. Megameow, please! @sockington 1 year ago I had 3 – 18yr old cats. Jackson and Noppy are gone, but at 19 Enfield is still hanging in. Love him, love them all. @sockington our fluffy long hair orange cat, Louie, died back in December. He will be missed! @sockington Please shout out my baby kitty, Storm, who left us in December after 19.5 wonderful years together. Momma and RePete miss him! @sockington lost my big sweet (feline) guy, cubby in november. i still ache for his kisses. @sockington So sweet — I recently lost my dear companion of 14 years, a handsome tabby named Spalding. @sockington @HollyCatRocks We lost our beloved rat Burton Guster on Mon., Jan 3rd this year. @sockington A true miracle cat @CuteKittyWillie left us the morning after Christmas. @sockington I lost Ming the Merciless – a beautiful black girl with yellow eyes after 14 and a half years. Miss her terribly. @sockington My sister, @Angels58100 lost her cat named Kitty. She was the sweetest, most loving furbaby. She’s missed. @sockington army member Julien fought the good fight until Oct 22 when a brain tumor took him at 8 years young. I miss my jubee. @sockington Lost our beloved German kitty Maggie this week. She was 16. @sockington We lost our cat Tasche just before Christmas. 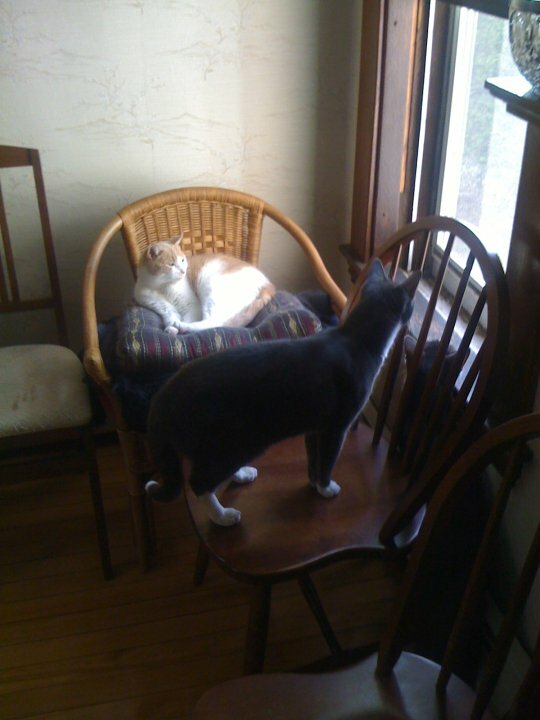 @sockington @RaniOldCat went OTRB in 2010. He was very special. @sockington we lost George our cat he was 21 & Millie she was 16! Thanks Sockington we love you! @sockington Can I have a megameow please? My boyfriend passed away on 30thDec & my kitty Stripey has been the best cuddle buddy ever since! @sockington My beautiful girl cat Zoe passed OTRB on 1/17 and we miss her terribly. 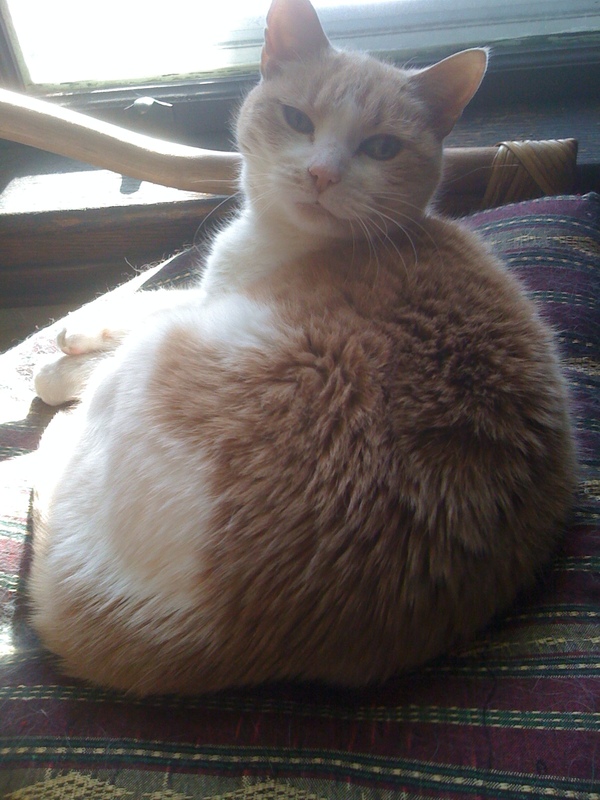 @sockington would love a megameow for Andy Katt – he was one cool kitty! @sockington I lost my cat Chub back in October 2010 due to a tumor. Me and my son miss him very much. 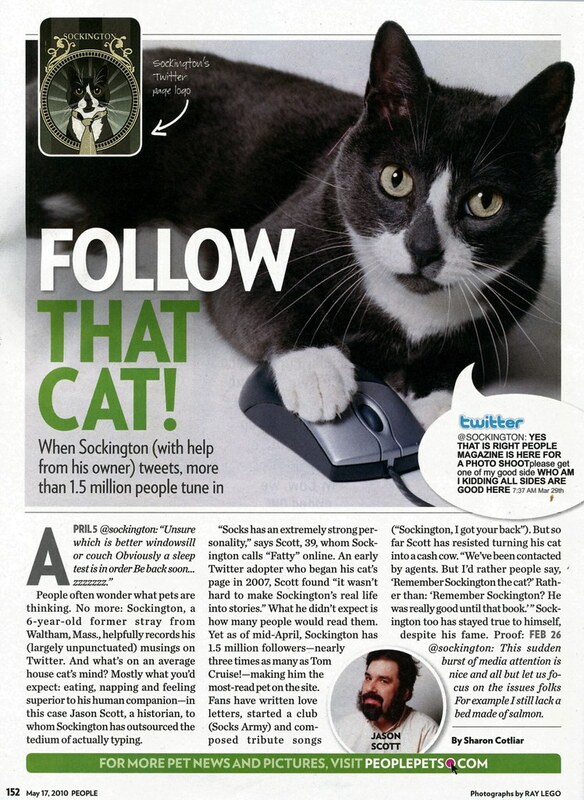 @sockington Can you please give a shout out to my dearest @Holliecatrocks who went to RB in November thank you. @sockington Our precious 15 year old ‘SNOOP’ died 2 wks ago. Had her since she was 5 wks old! @sockington Would love a mega-shout-out for my beautiful, quirky little tortie girl, Lyric. 1992-2010. @sockington I lost my grama this fall. She always had and loved cats – even the cranky ones. Some of my earliest cat memories come from her. @sockington dear socks, my bff @HollieCatRocks made the journey OTRB 2 months ago today. Thank you so much!! @sockington He was abandoned, skinny, & cancerous, but so appreciative of indoors, humans, & laps. I miss him badly. Thx for asking. @sockington Lost my sweet Cadence in December. She was still just a wee one. @sockington lost my beautiful Sebastian. She was a LH Orange tab I rescued 15 yrs ago. Sweet sweet soul. @sockington One of my humans recently lost a good friend of hers to breast cancer. A Megameow would mean a lot to her. @sockington I lost my lovely 12 yr. old Holly to kidney failure. It was devastating. Swore I’d never get another cat but Wiley is here now. @sockington I lost 2 of my kitties. Benjamin(8) and Spanky (17). I miss them dearly!! @sockington In October we said goodbye to OSCAR, who ran our house for 15 years. Now NOBODY is running it and things are going to heck. @sockington Despite losing her over 4 years ago, it will always feel like it was just yesterday. i hope your humanfriends love U very much. @sockington Lost my beautiful cat Serenity. She lived a wonderful 18 years. I would truly appreciate a meow out to her. Thanks, Socks! @sockington My friend Chris passed away at the end of December. I’m sure he would love a megameow. @sockington Avalon Avalokiteshvara-kitty, most determinedly domesticated of cats, put to sleep w/ 1 claw hooked into my red trousers Jan 12. @sockington My friend @johnremy lost his dear cat friend Toby Joy just yesterday. She was, by all accounts, a true joy. @sockington i lost my very best catfriend 4 years & 6 days ago. Her name was Callie and she enjoyed eating, sleeping, & being grumpy. @sockington Lost beloved Triscuit, also known around our house as Miss Kitty a few months ago – she was 19. @sockington hey socks, a long time member of your UK army left us just before Xmas, Alix aka Colonel Whiskers. He is dearly missed. @sockington Lost my dear cat of 12 years “Fluffy” last summer. I put up a memorial stocking for her this past Christmas. @sockington my precious Catherine got stolen from me. I’d appreciate even one megameow for her safe return home. @sockington Lost my mom, then my aging, cat-loving white shepherd/yellow lab step-dog three days later. I hope they’re in the same heaven! @sockington I recently lost my cat pumpkin he was 25 lbs. and 18 years old! @sockington we lost our Carrot January 2nd. still crushed. @sockington. We lost our beloved cat of 5 years “Wok” last week. RIP little kitty. We miss you. @sockington I lost my cat Boots to feline leukemia around Halloween. @sockington my beautiful cat Badger. Who knew when she was a kitten, that she would actually grow to the size of a badger. Miss her. @sockington We lost Pip, AKA Fatboy. Gone but never forgotten. @sockington lost my kitty in August, she’s gone to munch from the kibble bowl in the sky. RIP Rat. @sockington We lost Taylor (black lab) in December. She was a dog but always gave cats 1st crack at fresh tuna. @sockington our cat Mocha died suddenly/unexpected in his sleep in Nov. only with us a yr – he was 2yo. He hit 1.5 million followers some time ago, and I’ve been shaking my head in disbelief the whole time since, but Fatty finally got his act together and put together a movie about it. Best of all, it has me at my best, getting a few good headshots at the little meathead. Look at that dazed look he gives! I’ve still got it! Naturally, you might have a few questions about the origin stories in the film. Yes, I really killed a badger – after my previous “owners” left me outside an animal shelter, I quickly high-tailed it out of there and took residence in a farm in Hudson, NY, where I was holed up in a few barns with a number of other cats. The badger made short work of at least one of us, but I was a little more difficult a quarry, and came out victorious. I still, naturally, found time to be a proper lady when the time came and that’s how I got free room and board for (I assume) life. Victory! Well, until Greypunk showed up. And let us not even speak of Cousin Oliver. The fact is, it’s a hard life out there, and when people make the right decision to help, it really does us a good turn. So don’t expect it all the time, but thanks, from all of us. I can’t believe it, but everyone bought all the Socks shirts. What you’re all doing with his ugly little face on your clothes is beyond me, but a good number of you wanted them. Fatty, were he to have any input into this weblog, would probably thank the two people who brought the Sockington T-Shirt project together: Megan Hopkins, who designed both the Sockington shirt and my lovely twitter background, and Rich Stevens, who put together the logistics and shirt-making and the store. There’s been some requests to do this in the future – it would probably be very limited edition runs with pre-ordering and a lot of headaches far beyond your average cat. So let’s just leave that aside for the moment. Nobody even spoke to me about posing! I’d have given them a diva look that would have sold thousands of extra copies. Instead, we have to have little Lord Flaunteroy there acting like he’s all class. The reason Fatty looks so messed up was from hours of getting Socks to pose in that position, resulting in quite the hairstyle. Enjoy fame, Fatty! Some time ago, Socks pushed the idea of “A Chance for Bliss”, a very special pet sanctuary that focuses on special needs animals and pets, including seniors. Their pledge is to take care of the animals forever, as long as needed, short or long. This is dear to my heart, because while I’d never say I was getting on in years, it’s not out of the realm of possibility that I wouldn’t want some nice patch of grass back on a farm somewhere, to re-live the good old days (without the rain, though, thanks). A new letter has come in, asking for votes for a contest, which, if they win, will give this place a nice financial boost. Great to connect with you again. We are in the running for a $50,000 grant from Pepsi and their “Refresh A Project”. In a nut shell, each month Pepsi invites organizations and individuals alike to submit project ideas. Pepsi then picks the ones they feel best represent their program ideals, and then its game on! At the end of that month the top ten vote getter’s in each category get the grant dollars ($5K, $25K, $50K, and $250K). We chose the $50K category since for us this would be a game changer in that it would cover feed and basic care for an entire year for all of the the 80 animals we now care for (population now consists of 23 horses, 20 dogs, 7 pot belly pigs, 6 goats, 5 sheep, 2 steers, 5 geese, 4 chickens, 4 rabbits, 3 cats, and our newest resident, Noble, a 7 year old cockatiel.). You may recall that criteria for residency at the sanctuary is simple; an animal is deemed a senior, has some some sort of special needs, or has been diagnosed with a life ending condition. As such, once here, each resident remains until they pass away, regardless if that is a short or long period of time. The link for the program is below. 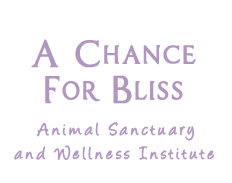 Voting is limited to one vote, person, per day, and only goes for the month of April. 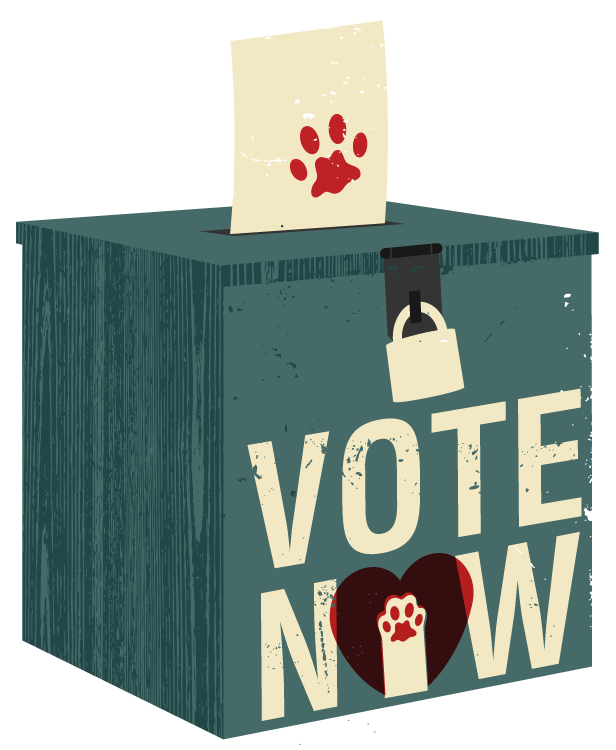 We are therefore concentrating our requests for supporters to simply vote each and every day of April. Thank you again so much for all your support. You are awesome! Hello, everyone. Did you miss me? I assume so. 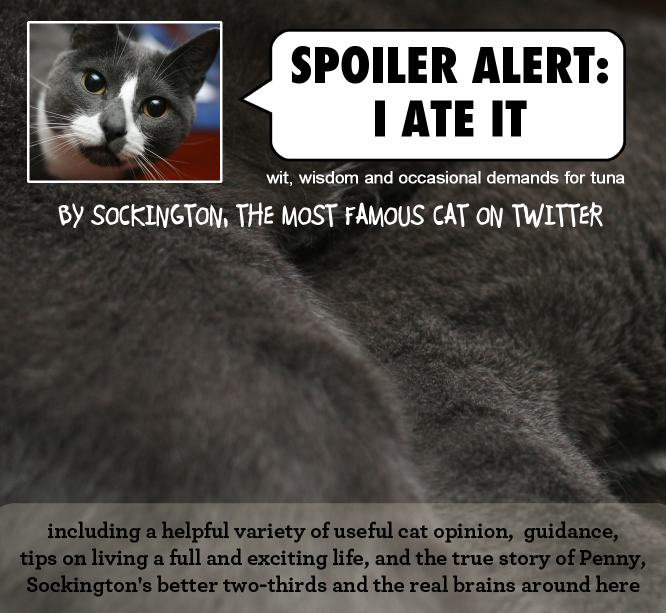 I’m coming out of radio silence to alert the masses of a range of Sockington and Me-Related items happening. Expect updates across the coming days. Since Socks “made it big”, with “made it big” being a set of completely arbitrary opinions, people have asked how and when he’s going to get rich. Setting aside that for a cat, “making it big” means steady meals and an only tacit awareness of rain, the fact remains that there’s some expectation out there that there would be some amount of products, endorsements and celebrity appearances by Socks. That’s all fine and good, but we’re talking about a cat that barely remembers when he walked into the room, and mostly follows me towards the food dishes as his reminder it’s dinner. Obviously, he would need help in any such endeavor, and so it falls to me. But I’m not right off the turnip truck, ladies and gentlemen. Even I know the advantages of asking ahead of time what any potential audience would want to see. 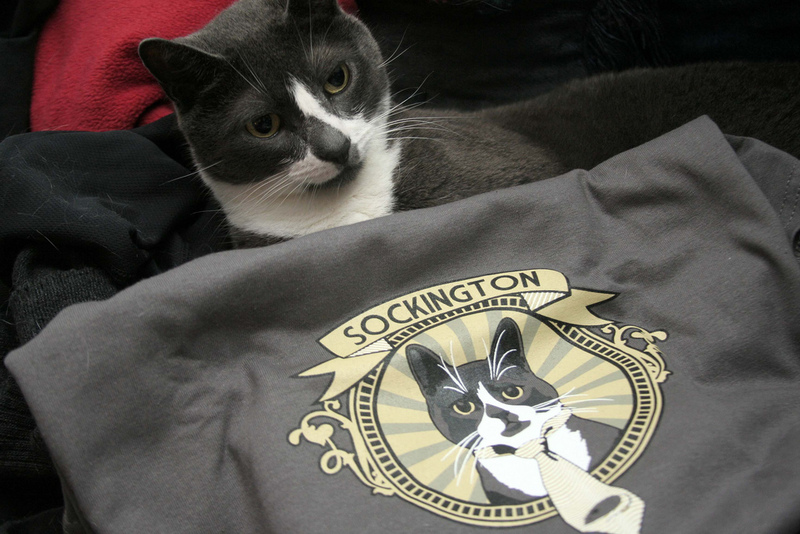 The Sockington T-Shirts have done pretty well (feel free to pick one up anytime) and it’s been nice to see people wearing them around (obviously a Pennycat t-shirt should be next). 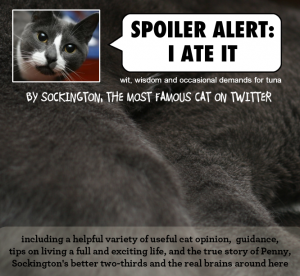 But what will you think of the idea of a Sockington book? A little coffee table number perfect for sitting on or nuzzling off the coffee table with your nose, or maybe (if you’re a person) to read? So here’s the deal, wonderful audience: what are your thoughts on this? After all, I have to see the grey fellow every single day of my life, along with his new sidekick. It’s not like we’re talking about anything new to me. But there’s been some clamor and call for a book of photographs, essays, and various bits of wisdom related to myself and Socks (and cousin Oliver), and so let’s see what you really think. Enclosed, below, is a survey with five basic questions about what you’d be looking for. It will help immeasurably in getting an idea of an interest in such a project, and help gear the final “product”, if the project moves forward. This will help immeasurably, and I thank you ahead of time for your effort in helping. UPDATE: With 850 responses in less than a day, I have plenty to chew over. I’ll give a report shortly. Thanks, everyone, you know how to step up and help.